Collaborative Biodesign The MIT Silk Pavilion was the inspiration for this project. How might we collaborate with other organisms to build structures? 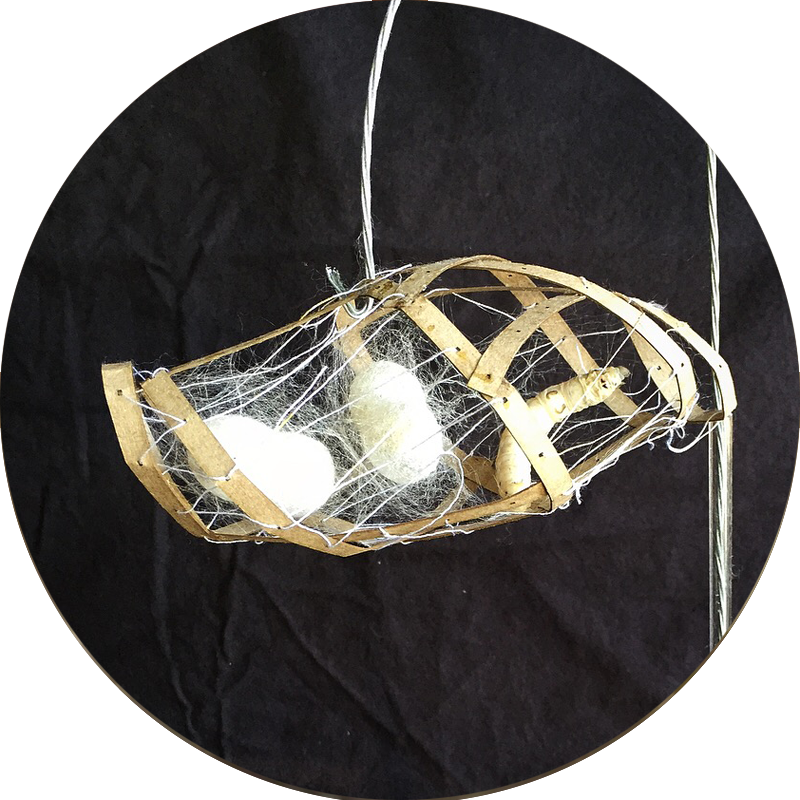 This project explores making table lights in collaboration with silkworms and results in illuminated cocoons built into the framework. 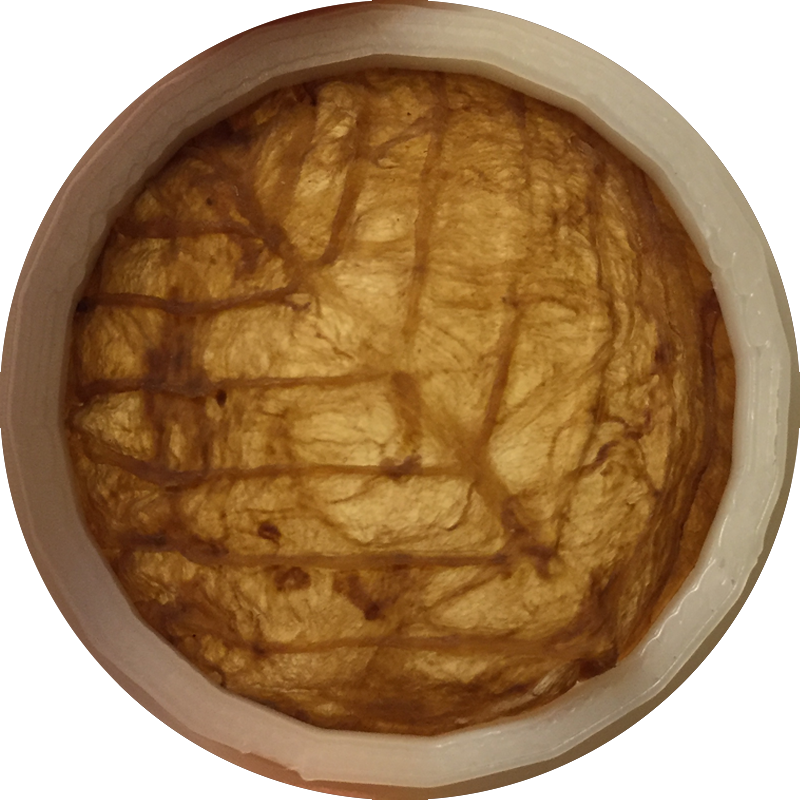 Using chocolate molds and food trays as molds, this project explores recipes combining agar and chitin to create a hard cast material. How might we grown our fashion using yeast and bacteria? 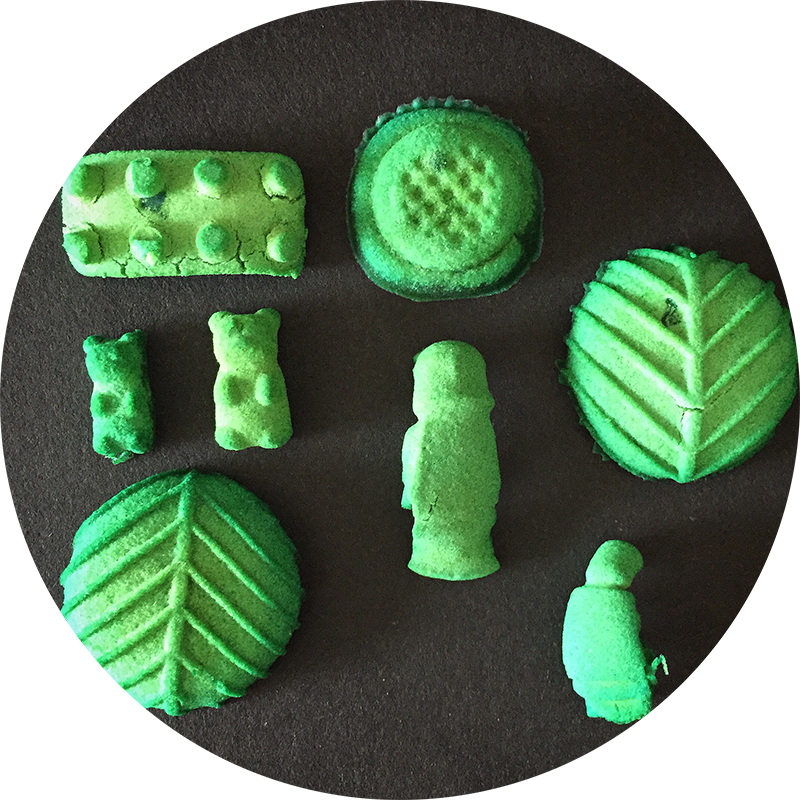 This project explores 3D printing flexible units on mesh for wearable designs using either PLA, a plant based filament, or Algix, an algae based filament. This exploration is under construction. 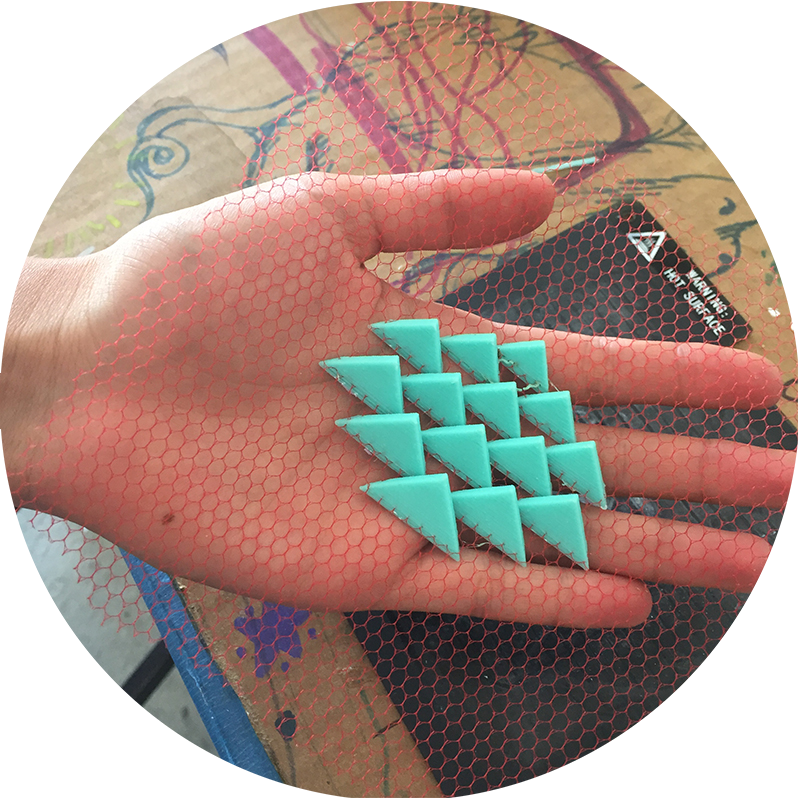 The Nest will be exploring bio yarn and 3D printing paste extruder systems. In the past few years, researches have discovered that mealworms can digest Styrofoam and other polystyrene plastics. 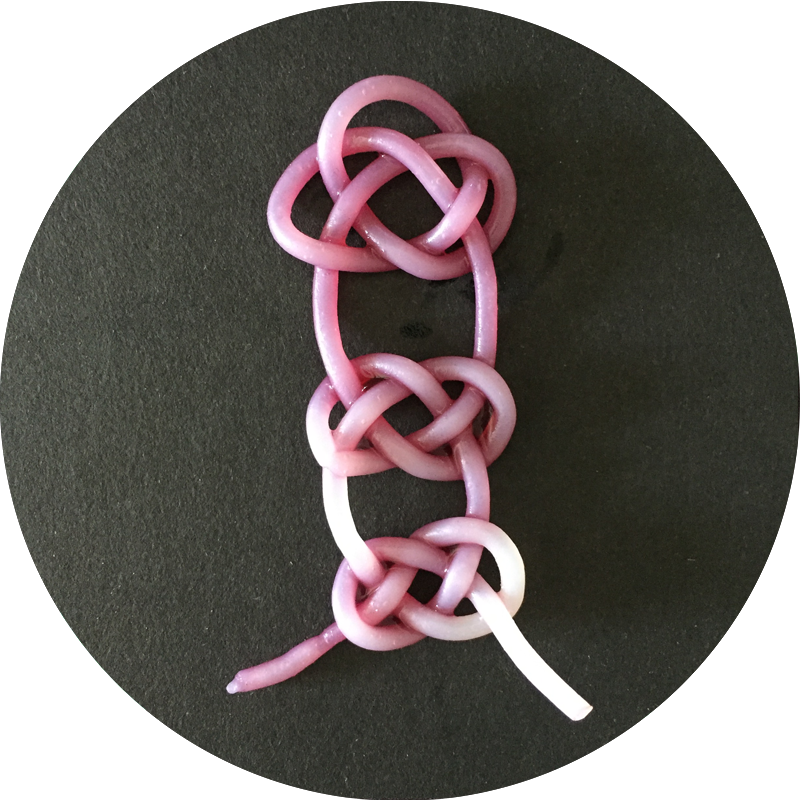 This makerspace project spanned a few months in spring of 2018 in which mealworms were given only a diet of styrofoam. Next, a small assembly designed table was created in Tinkercad and 3D printed. Mealworms silhouettes are in the table legs. The remains of the partially eaten styrofoam is placed on top of the table. The use of a Chinese art object display table was inspired by the Dublin Science Gallery Installation "Plastivore" by Oliver Kellhammer. 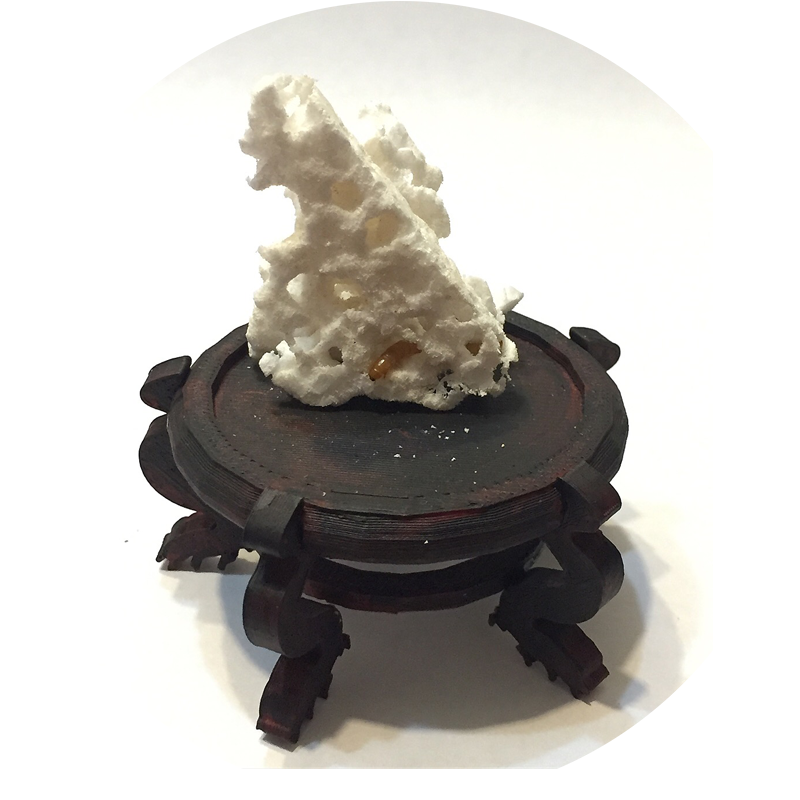 This small scale project can be a way to both explore mealworms as plastic eaters and also explore a new take on Gongshi, the art of the Chinese Scholar's Rocks. Takara will be leading a girl teen team in the 2018-2019 Biodesign Challenge. Seeing how students often feel overwhelmed by environmental systems issues and witnessing the lack of blended biology and design projects in classrooms/makerspaces, I am eager to lead a team as they anchor into this sustainability exploration spanning eight months. 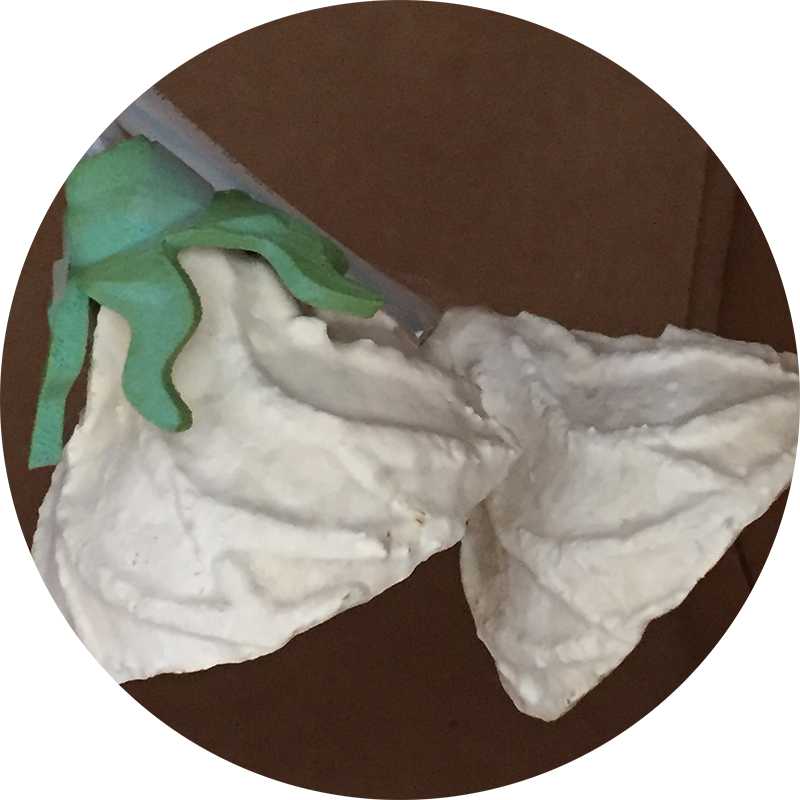 There is a need for this Biodesign Challenge at the high school level since solutions to our pressing environmental issues will depend upon deep innovation through blended explorations across disciplines. The experience will introduce the girls to biodesign concepts, tools and cutting edge research at the intersection of design and biology and will connect them with universities and companies who are also delving into sustainability issues from different angles.